Our Club Round of this National competition took place on Saturday 17th November 2018 at Hayling College. 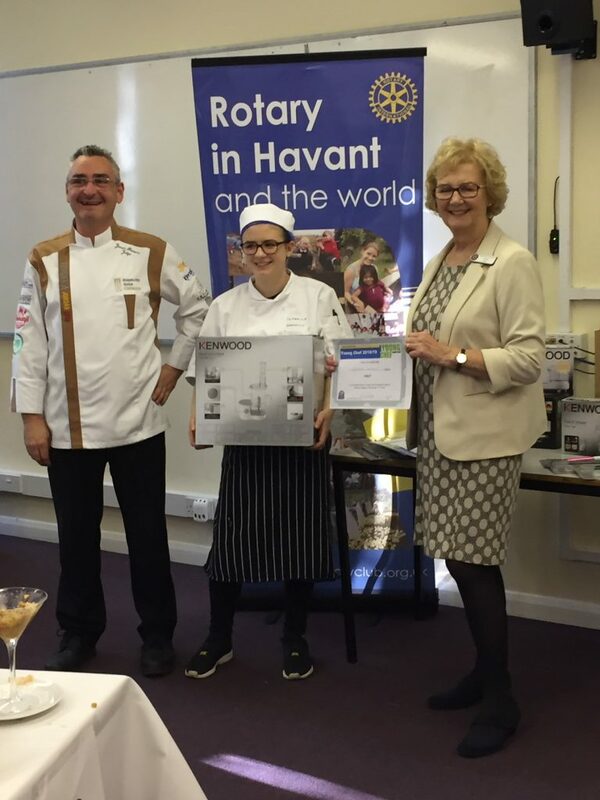 Seven young aspiring chefs took part, all under 17 years of age, from Havant and South Downs College (HSDC), Park Community School and Hayling College. 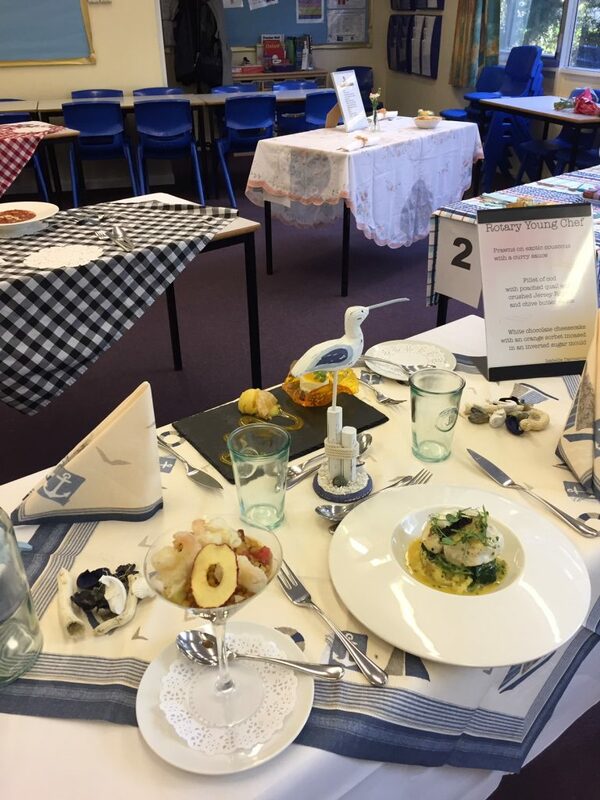 The young chefs were commended by our three judges, James Parsons, Janice Wyatt and Andrew Jessup, for the high quality of the three course healthy meal for two adults they produced in two hours. 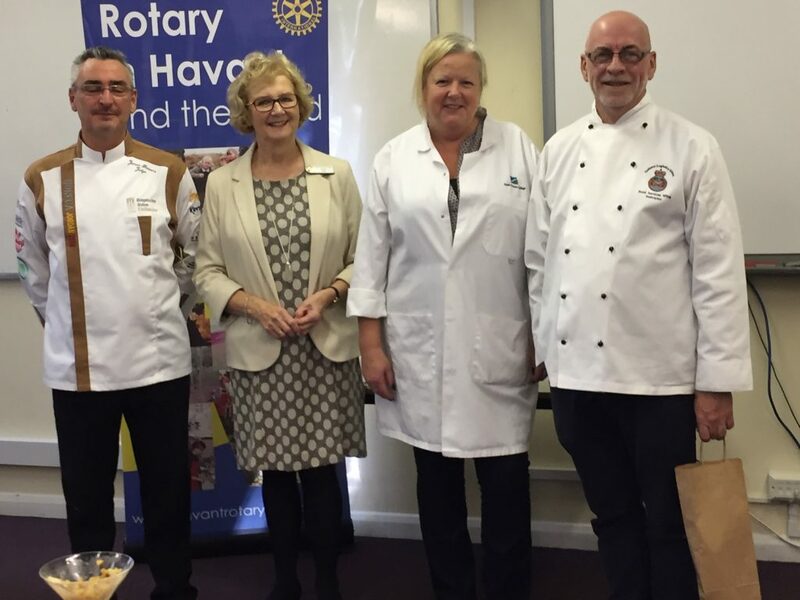 The young chefs also impressed the judges, teachers, family members and Rotarians by the professional manner in which they undertook the competition. The judges awarded the first prize to Izabella Darmanin from HSDC, the second to Rose Williamson from Hayling College, the third to Joshua Marsh from Hayling College and the fourth to Ronnie Mardell from Hayling College. All four will now go on to the Second Round of the Competition in January. Many thanks to the judges for giving their expertise, advice and time, to Hayling College for hosting and to the good people of Havant who support Rotary in funding the competition.